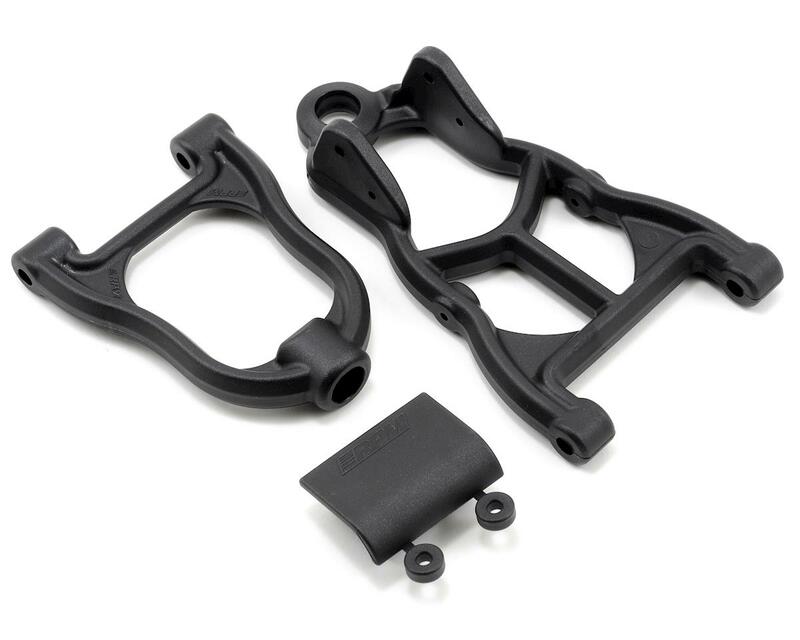 RPM front A-arms for the HPI Baja 5B & 5T are designed around the stock A-arm geometry, which means they are direct fit replacements – no additional parts or accessories are needed. The list of improvements from there is extensive! To start, we’ve eliminated most of the hard rib angles in favor of smoothly contoured curves that enhance survivability during extreme impacts. 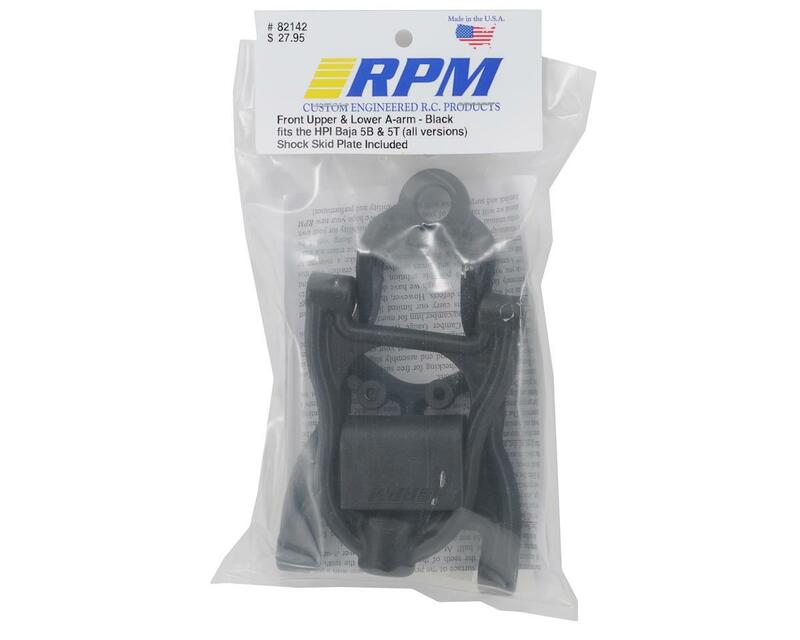 Both the upper and lower A-arms incorporate much larger and stronger corner webs than the stock A-arms while RPM lower A-arms have a redesigned center brace structure that helps the rigidity and strength considerably by spreading impact energies over a much larger area.